8:00 am to 10:30 am Elburn Lions. 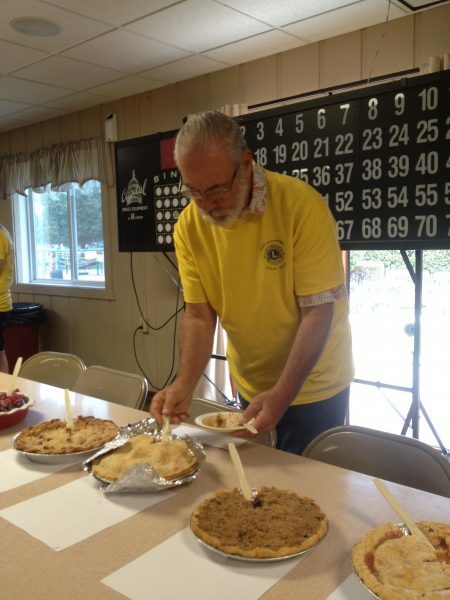 The Pie Baking Contest will be held Sunday, August 19 at Lions Park’s North End Pavilion. Registration is from 8am – 9am and judging begins at 9:15am. Winners and prizes to be announced at 10:30am. 1. Pie must be entered in the name of the person who made it. 3. The person running the contest will have final say on the acceptability of pies. 4. Pies entered into the contest become property of the Pie Festival. You will not get your Pie or pan back. 5. If you are a winner, you give permission to have your photo taken during the announcement ceremony and have it used for Pie contest promotional materials, including the website. A minimum of 3 judges will determine rankings per category. Each Pie is judged on overall appearance, crust, and taste. Each judge assigns a numerical value (1-10) in each criteria category without consultation with the other judges. The Pie with the highest total numerical value is the winner in that category. In the case of a tie, the judges will judge those pies again.